Yes really..the real mint is back, finally. I have waited since the last vegetable markets closed down in the early fall. Since then i have had to live with those tiny under-light grown thin plants called mint – But its to me not real mint. Oh no..because real mint has much more fragrance. Not a little shy fragrance – it has a bold fragrance. When i buy the mint from Morocco they sell it in large bunches at the outdoor markets during the summer it smells up the whole bus on the way home.These leaves needs not much spanking if any at all, and they takes up a major space too,well – that´s mint! Thick and sturdy plants with lots of leaves that has a good texture and brilliant green color, not these tiny little plants, light faint green with a good spacing between the leaves due to poor light. Oh finally! So i have been waiting! Ok, the greenhouse mint is better than no mint at all, i`m thankful i have some mint during the winter, but i`m happy the real thing is here again and it’s a pity it can´t be frozen successfully. I would have stocked up like i did with all the cherries i steeped in jars with maraschino liqueur and brandy – they have lasted me the whole winter and spring. What a nice feeling, now i don´t have to even look at the supermarket mints until the fall. Ok, its not that much mint available yet, its still early – just wait until july..but its real mint! and i`m overjoyed.So the fact that the mint is back needs to be celebrated with a drink – a real minty cocktail, a julep – a fig julep – worthy to carry a decent crown of fresh fragrant mint with dignity. From now on i will always celebrate the MINT DAY here on my blog, not on a set date but the first day after the winter when i find the real mint is back again. So come on folks, celebrate the mint day with me and make yourself a fig julep or other minty drink! Muddle fig marmalade and mint in a 10 oz. tall glass.Add crushed ice. Add Bourbon and stir until frost appears on outside of glass. Garnish with mint sprigs and 2 quartered figs. Rum is my favorite spirit and i wish not just my drinks would have attended this TDN but me too. Amazingly enough i have now managed to miss out on 2 rum TDNs and 2 rum chats! I have liked rum for many years and oddly enough one of my earlier rums was the 15 year old El Dorado which i the first time i tried it got in a mini bottle. And as that bottle quickly was finished a big bottle soon followed, and this rum also was a rum i used along with Cruzan and their flavored rums during my early experimentations with tropical style drinks before i even knew what a tiki drink was. 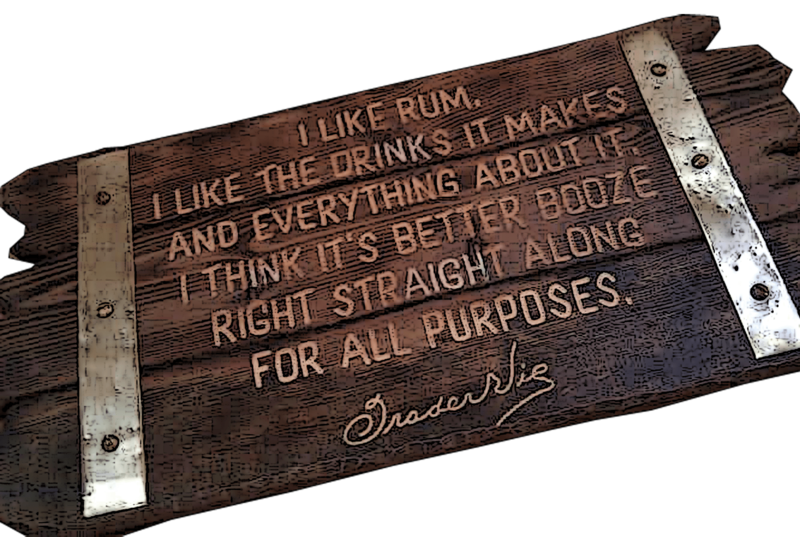 After that i discovered the Ministry of Rum and that´s where i started to really seriously learn something about rum along with much tasting and mixing and a lot of what i know today i have learnt in that forum. My three TDN rum drinks were these, i`m not sure if any one of them did make it into the TDN except for the Vanilla treat. 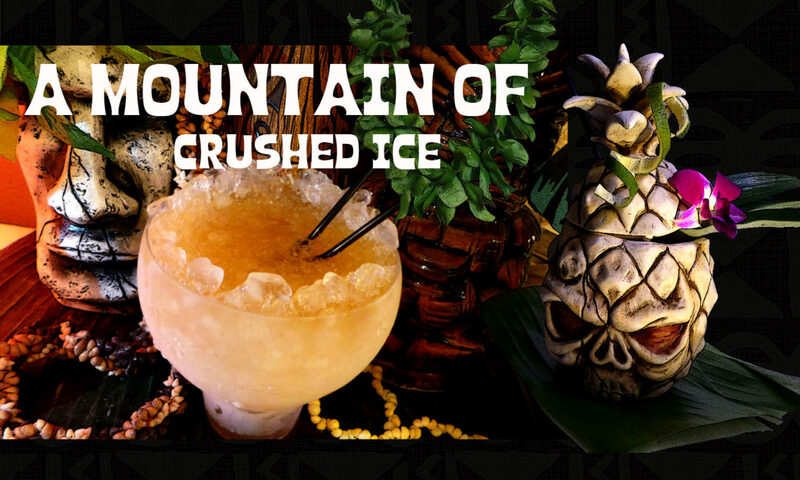 Anyway the other drinks here are a twist of the Mai Tai and a Planter´s Punch style drink. I hope some of the drinks will inspire somebody to try it out or maybe make a twist of it. Blend at high speed 5 sek with crushed ice. Pour in chilled cocktail glass and garnish with vanilla bean. Shake over ice with spent lime shell, strain into rocks glass with crushed ice.Garnish with the spent limeshell and a crown of fresh mint. 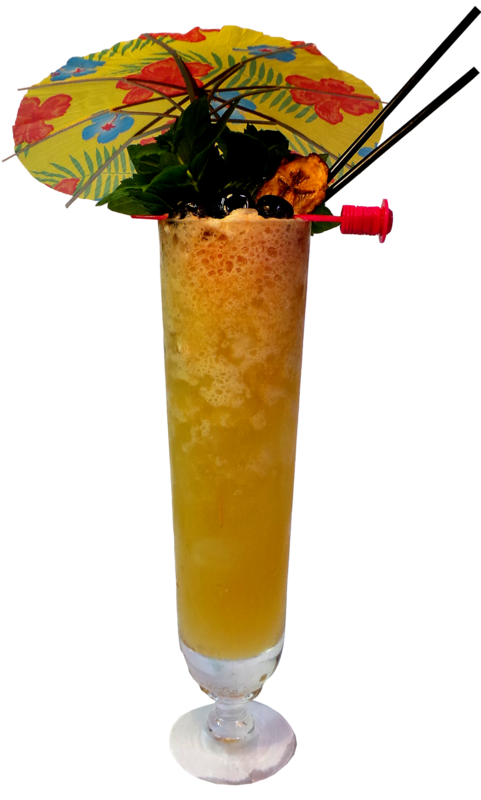 Shake everything except JWray and strain into a tall glass with crushed ice, float Jwray and garnish with a tropical flower. First i want to say one thing – i`m not very fond of bananas in cocktails..and that`s the reason why i jumped on the task of writing this post, i simply see it as a challenge to try to create something interesting with bananas.. The first thing – it can`t be too sweet and second – it can´t be too bananaish. Third – it can´t be too slushy and thick. Fourth – find or invent a cocktail where the banana-whatever thing will fit in well and actually make the drink tasty.A commercial banana liqueur or spirit was out of the question – i wanted fresh stuff. So what to do? well i rubbed my brain and then figured that if i make a banana peel syrup (and maybe just a little of the fruit) it may add just a hint of banana flavour without getting overly much banana-sweet. For the banana peel syrup i wanted greenish somewhat unripe bananas,they are less sweet and hopefully would lend a more interesting “green” flavour to the syrup. Lesson number one (i noted to self) : get the right type of fruit. And when it comes to bananas – bananas are not just bananas.The varieties have very different sizes and textures. Now the next challenge was to hit the stores when they happened to have some green unripe bananas.There´s an Indian-african-caibbean store here which now and then carries apple bananas and they are often in the unripe state in that shop. Apple bananas (musa manzano) are much tastier than the regular bananas,they have a sort of apple flavour with a hint of strawberry and at the same time they actually have a bit of tang as the fruits are sweet yet have a slight tartness.They are smaller, rounder, firmer and less sweet than other bananas.These seemed to be exactly the type of banana i needed for this. 2:1 Sugar and water. ¾ part light muscovado sugar and ¼ part molasses. Peel from 1 apple banana and a few slices of the fruit. To this syrup i used light muscovado sugar and a pinch of molasses plus the peel of one apple banana plus a few slices of the fruit as its not so sweet. Then i boiled it for 2 mins and then simmered very lightly for another 20 mins before cooling, straining and bottling. I got a very subtle banana flavor and so i think i could have used more of both peel and fruit. But it was a nice syrup, very rich in flavor. 1 tsp pecan nuts, caramelized and chopped. Muddle lime, lemon and molasses in shaker. Add rum,juices and bitters. Shake and strain into a glass. Place the banana sticks in the glass and drizzle fresh lime juice over the bananas.Top with grated dark chocolate and caramelized pecan nuts. And there you got it – the Ultimate Banana Cocktail. Melt the sugar very slowly in a mini pan with the lemon juice and when you have a brown caramel, and place the pan in a waterbath to cool. Add the pecan nuts, then take them out and leave to dry on a lightly buttered baking sheet. Beefeater 24 is being distilled to a new recipe using specially selected botanicals including a blend of Japanese Sencha and Chinese green teas.Beefeater’s original creator James Burrough constantly tried different combinations of ingredients and used seville oranges already in the 1860s. Sharing Burrough’s passion for experimentation and flavour, Desmond Payne started experimenting too, trying a whole range of botanicals to complement the range of botanicals that Beefeater traditionally uses, resulting the discovery of the tea as a natural ingredient.Using these Japanese and Chinese teas which leaves are steamed after the harvest and thus getting fresh green flavors lifting up the aromas and flavors of the gin itself.Since the 17thcentury, both gin and tea are distinctively brittish.Its disitlled by master distiller Desmond Payne who has 40 years of experience in the business. This gin is distilled in the traditional pot stills and the spirit and 12 natural botanicals are actually left to steep in the still for a full 24 hours – longer than any other premium gin and its this 24h steeping that has given this gin its name.This process unique to Beefeater and each botanical comes through at different times in the process resulting in a complex, smooth, scented and full flavoured gin.I find this steeping process very interesting! I wonder how the gin tastes at different stages of the steeping? Partly inspired by the 20th century the bottle is very beautifully designed – marrying the era of the 20s with our present time. Apart from the teas, Beefeater 24 is made with 12 different herbs from all over the world,including peels from seville oranges and grapefruit.Its 45% ABV.According to Desmond Payne the crucial thing in gin making is the balance – how the flavors work together. And in this gin they sure works fine.The new gin is refreshing and light like a feather, and a bit sweeter than the regular Beefeater gin.Because of its light character its best on its own or in lighter style of cocktails, fresh and fruity.If mixed with heavier mixers it will be lost. Japanese Sencha tea,Chinese green tea,seville orange peel,grapefruit peel,lemon peel,juniper,coriander seed,liquorice,angelica root,angelica seed,almond,orris root. I`ve been curious to try it ever since i read one of my cocktail blogger friends review after the launch party in the UK,and now finally it reached my homebar.To me this gin just shouts for citrus mixers! so citrus is what i choosed to mix with.Perfect for the pre-summer season, needing refreshing light mixers allowing the flavors of this gin to come through. Shake and strain into a fancy glass with crushed ice.Garnish lime spiral. Shake and strain into chilled cocktail glass Garnish orange spiral and if you can find it – a tea leaf. Apart from the obvious clean gin base Beefeater 24 has nuances of flavors that are quite delicate and i feel its best to keep it simple and go fruity.Of the two cocktails i liked the first one (24 Fresh) most. I find Beefeater 24 really nice to mix light refreshing cocktails with and i would recommend anyone to try it out.